Founded in 2009 by Kate Lugtigheid Pumped Personal Training provides premium fitness services to women in complete privacy one on one. Our personal training services are tailored to clients needs through the thorough understanding of their goals, right now and as they change over time. We are not a gym or a service where you will only hear from us at your next session, you’ll most likely here from us everyday, ensuring you are on track, motivated, and ready to achieve your goal! Over the years Pumped has won numerous awards and provided life changing results to hundreds of women, many of the original Pumped members now play a huge role in their own right in the encouragement and motivation of our newest additions to the family, everyone really is welcome and for many Pumped is no longer a service, it’s a way of life, one they will most likely continue to be a part of forever. 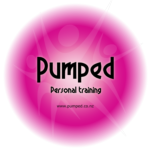 To get in touch and find out more, check out our website www.pumped.co.nz or call 03-3487889 to book a time to meet with one of our awesome personal trainers for a goal setting coffee chat.